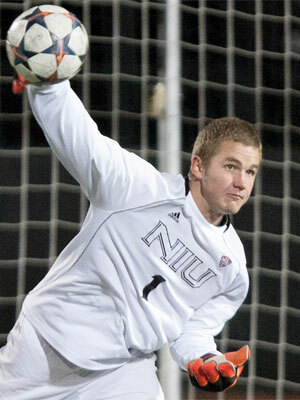 Five members of the Northern Illinois University men’s soccer team were named to the Academic All-MAC Team announced by the league office Thursday. Redshirt junior Andrew Glaeser (Walla Walla, Wash./Walla Walla/Oregon State), sophomore Richard Hall (Billericay, England/The Billericay School), sophomore Adam Lightner (O’Fallon, Mo./Fort Zumwalt West), sophomore Derek Ott (Cross Plains, Wis./Middleton) and senior Dusty Page (Germantown, Wis./Kettle Moraine Lutheran) each earned conference academic recognition. “I’m really pleased for all five of our guys who have been awarded Academic All-MAC,” said NIU head coach Eric Luzzi. Glaeser, a mechanical engineering major with a 3.96 GPA, appeared in 16 matches for the Huskies in goal, making 56 saves, second-most in the MAC, while recording four shutouts, tied for second-most in the conference. Hall, a mathematics major with a 3.81 GPA, made 16 appearances during the 2014 season, including 13 starts. Hall scored two goals and registered three assists to finish tied for third on the team with seven points. Lightner, a mathematics major with a 3.5 GPA, appeared in 14 matches, including a pair of starts, playing primarily central midfield for the Huskies. Ott, an accountancy major with a 4.0 GPA, played in 16 matches and made seven starts. Ott tallied an assist in a 4-1 victory over SIU Edwardsville on Oct. 22. 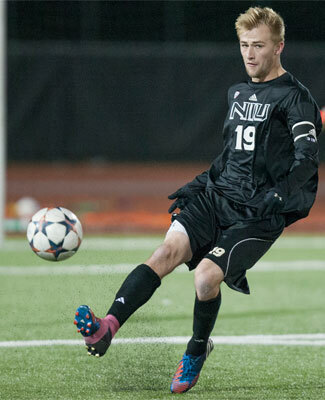 Page, a finance major with a 4.0 GPA, started all 17 matches for NIU, recording a goal and an assist. In addition to conference academic recognition, Page also earned Capital One Academic All-America Second Team honors in 2014. Academic All-MAC student-athletes must have at least a 3.20 cumulative GPA and have participated in at least 50 percent of their team’s contest for the season.